Richard Burkett is a Professor of Art at San Diego State University, teaching all levels of ceramics for the past 25 years with a focus on soda firing, glazes, and vessel forms – both functional and sculptural. He received the B.A. degree in Art from Lawrence University, and the M.F.A. degree in both ceramics and photography from Indiana University in 1986. From 1973 to 1983 he ran the Wild Rose Pottery in Bainbridge, Indiana. Richard Burkett has traveled extensively in Ecuador many times over the last 20 years with Joe Molinaro of Eastern Kentucky University, researching and photographing Ecuadorian potters and documenting indigenous pottery cultures in the Amazon basin. He recently designed and co-authored a book on Ecuadorian Kichwa pottery with Joe Molinaro, Mythical Figures & Mucawas: Ceramics from the Ecuadorian Amazon. 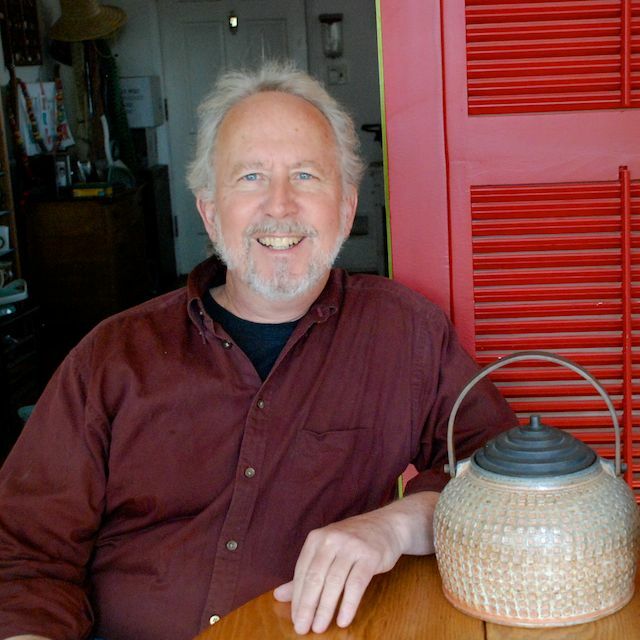 One of the first ceramists to make extensive use of computers and the Internet, Burkett has lectured internationally on ceramics and the Internet at events in Stockholm, Sweden; Eskeshihir, Turkey; and Helsinki, Finland. He has traveled to Jingdezhen, China to study porcelain making in this city near the original source of porcelain clays. He is the author of HyperGlaze, educational glaze calculation software for artists, and the co-author of the sixth edition of Ceramics: A Potter’s Handbook, one of the most widely used ceramics textbooks. He also selected an international group of forty porcelain artists and wrote essays for the Lark book Porcelain Masters: major works by leading artists. In his spare time he plays bluegrass music.